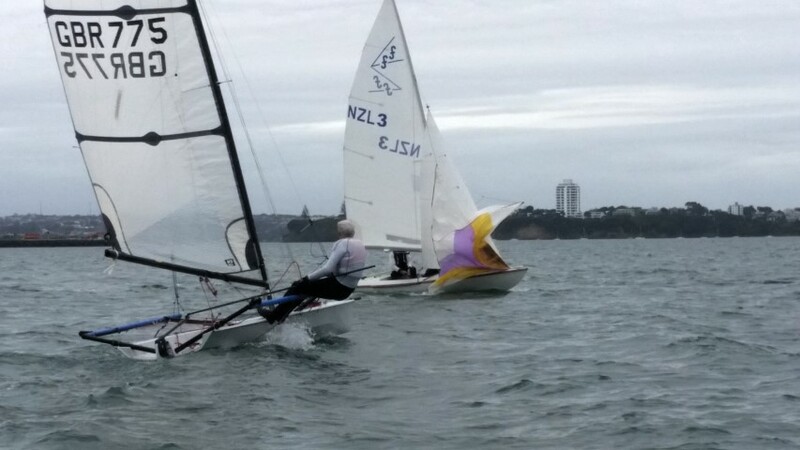 Sunday the 26th of July was the penultimate day of racing for the Royal Akarana Yacht Club’s Winter Series. 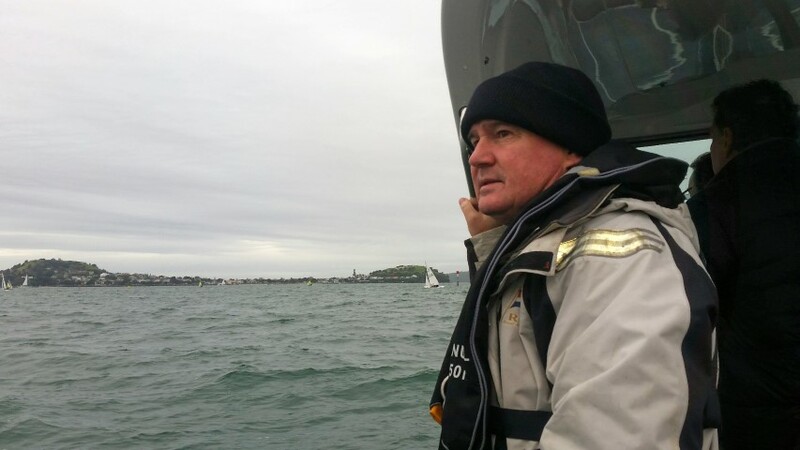 It was a day where a lot of regulars seemed to have prior commitments, both sailors and volunteers, including our regular race officer. This meant I got the call up. With no previous RO experience I was extremely nervous but eager to step up to the plate. After I had ensured the fleet of safety boats were ready, checked all the required flags were in the bag, and that the volunteers all had their lunches, the committee boat (a big thanks to Chris Ralph for the use of his boat!) made its way to the race area in Mechanics Bay. The inexperienced crew of parent helpers; Chris Ralph (Skipper), John Little (Time-keeper), Jeff Butler & Mark Thomlinson (Flags), along with myself as Race Officer, directed veteran course-layer, Rob Heath, in laying the start line and top mark. A short delay to racing saw the first start at 1115 hours, two laps of a windward/leeward course. 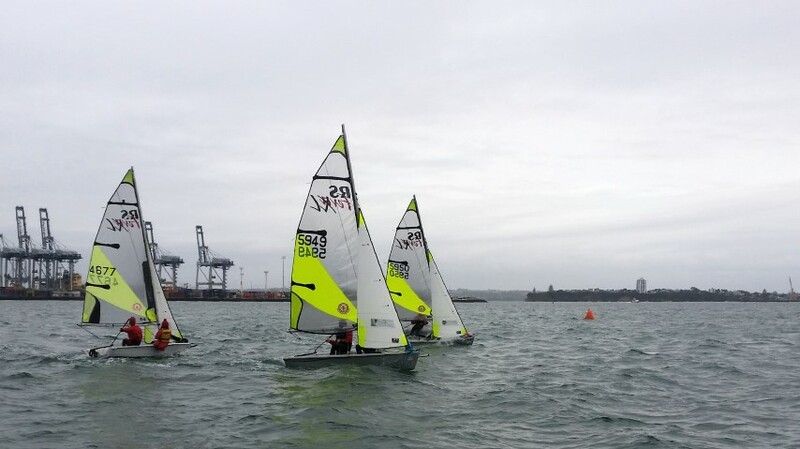 The Flying 15s completed the course in 15 minutes and had to wait another 10 minutes for the Junior Feva sailors to complete their course. As the format for the day was sprint racing, we needed to ensure the races rolled through quickly. This presented my first challenging decision of the day; how to reduce the wait-time in between races. After a short discussion on board the Committee Boat, we made the call to shorten the Feva course to a single lap of the windward/leeward course. This resulted in the wait-time being reduced to around 5 minutes, ideal time for a breather while allowing us to peel through the five scheduled races. Fortunately the wind played ball and stayed in the North (well more-or-less) and the races were fired off one after the other in a very efficient fashion. 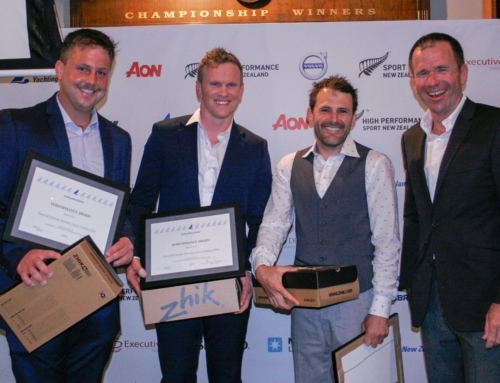 Surprisingly, all five races were done and dusted by 1320 hours and the fleet headed home. Shortly after arriving ashore the heavens opened, luckily we were back in the clubhouse with hot-drinks in our hands. All-in-all a very successful day for an inexperienced Race Committee. 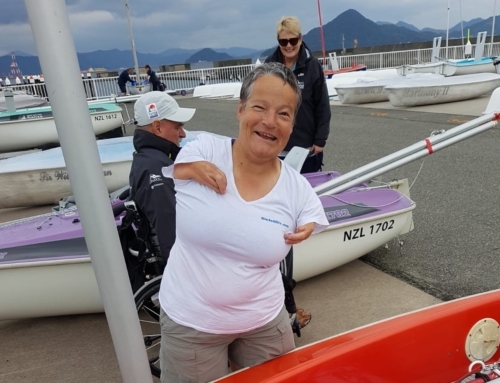 A huge thanks to the parents of our Junior Feva Sailors who volunteered on the Committee Boat, and our mark layer Rob Heath, the racing could not have gone so smoothly without your support!